It's a real pain that the most wonderful time of the year is now marred by new LED lights that flicker and look more like pastel Easter eggs than classic, warm lights. LEDs are different than previous types of Christmas lights because they are an electronic diode that produces light through electroluminescence, rather than typical light bulbs, which produce light through incandescence. This means that LEDs are far more efficient, since incandescent bulbs only use 5% of the supplied energy to produce light, but it also means that the LEDs are different electrically from any previous lights. While LED Christmas lights are more energy efficient, both the difference in color and "flickering" of the lights are hard to ignore. Light quality is subjective, and differs with each set of lights, but comparing an LED strand with a vintage string of incandescent mini bulbs, the LEDs look washed out and don't have the warm, rich colors of incandescent bulbs. The flickering is even worse. This is the choppy, blinking look of the lights, which is especially noticeable if you shake a string of LED lights. The lights are actually blinking on and off at the frequency of the electricity in your house! If you are in the U.S., the electricity is 120V 60Hz alternating current. Since LEDs work on direct current, they are only being powered half of the time, turning on and off sixty times every second, which makes them flicker. Here is a video I shot at 60 frames per second - since the electricity is not rock solid at exactly 60Hz, the flicker doesn't perfectly sync up with the frame rate, and they fade in and out in waves on the video. 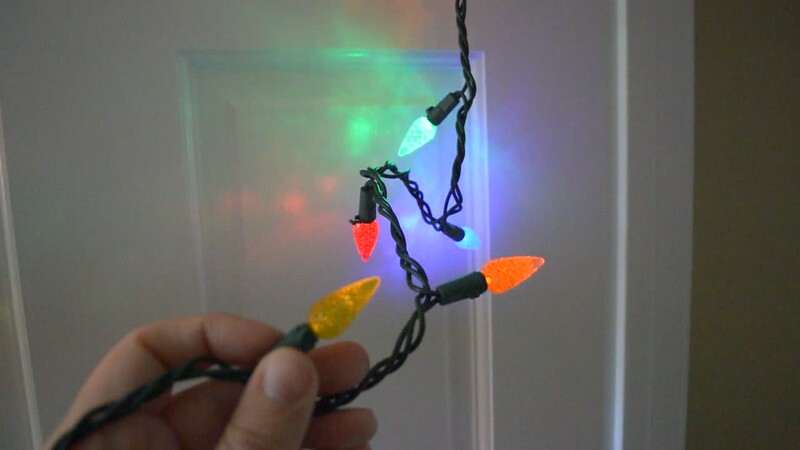 When LED Christmas lights first came out, cost was an issue, and early LED strands were stripped down as a result. The absolute cheapest way to make a string of DC-powered LED lights that can be plugged into 120V alternating current is to wire all the LEDs in series and keep adding bulbs until the total voltage equals 120. This "absorbs" the electricity and lights the LEDs, but in a very blunt (and flickery!) manner. The missing feature is a bridge rectifier, a small circuit that flips alternating current to direct current. If you already have a set of lights that flicker and are handy with electronics, you could add a bridge rectifier yourself, but the best way going forward is to make sure to buy lights that are built with a bridge rectifier. A site called Forever LED Christmas Lights sells strings that won't flicker, but will cost a few dollars more. Amazon usually stocks the lower-cost lights, but some sets will be flicker-free, like this string of 25 large C7-style bulbs for just $17. You may even be able to find a full-wave rectified set of lights in your local store — Pay special attention to LED strings that are labeled for commercial use, because that can also be marketing speak for "these cost a bit more, but it's because they are higher quality!" and notice words on the packaging like "flicker-free", "full wave", or maybe even "rectified" that indicate a better set of lights. 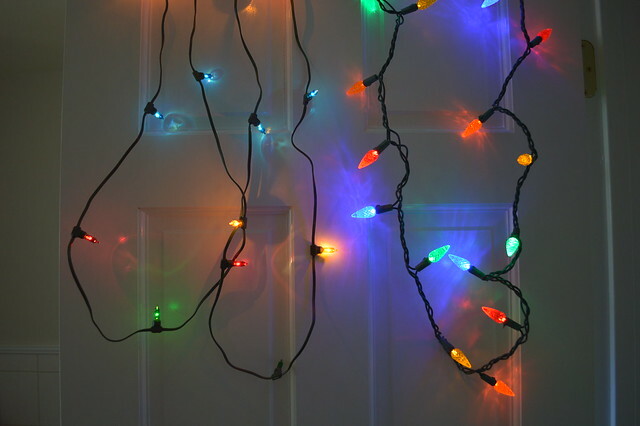 When in doubt, look for an electric outlet and plug in the string of lights while you're still at the store! How was 120V chosen as the American standard? Language, technology, journalism, and the way the world works.